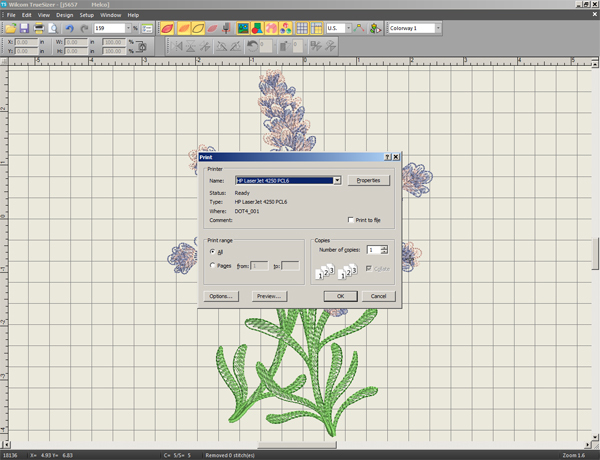 A template is a printout of a design from embroidery software. Templates are very helpful when planning where to stitch. 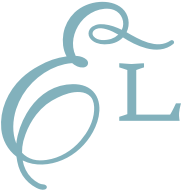 Instructions for making templates will vary depending on the software that you're using. 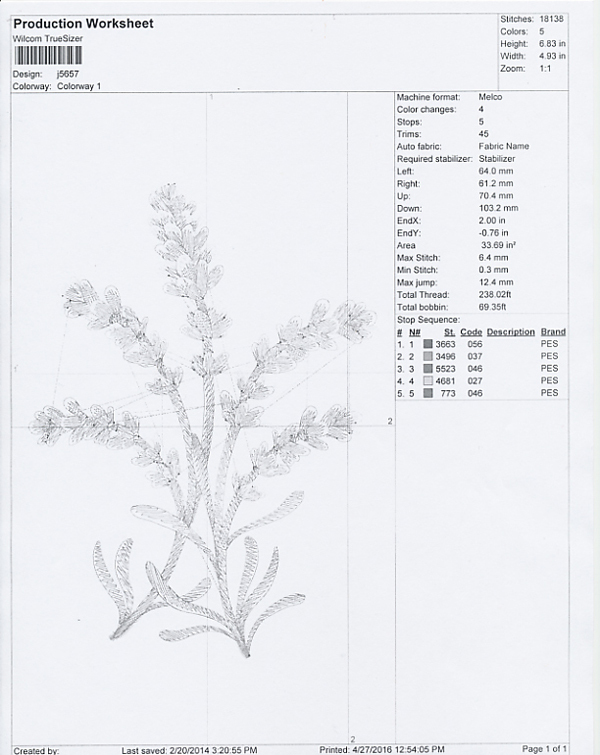 The general concept is shown below with a free embroidery program called Wilcom's TrueSizer. 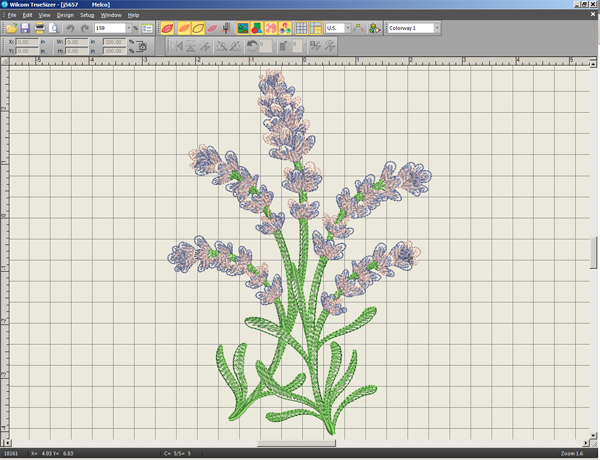 Begin by opening the design in the embroidery software program. Print the design. If using Wilcom's TrueSizer, click FILE on the toolbar, then PRINT. If using other programs that allow scaling (such as 4D/5D/6D), ensure that the software is set to print at 100% (not reduced or enlarged). This is what a template looks like when printed from Wilcom's TrueSizer. There are vertical and horizontal axis lines - and where those lines meet is the design's center point. It's helpful to cut the template down to make it more manageable. 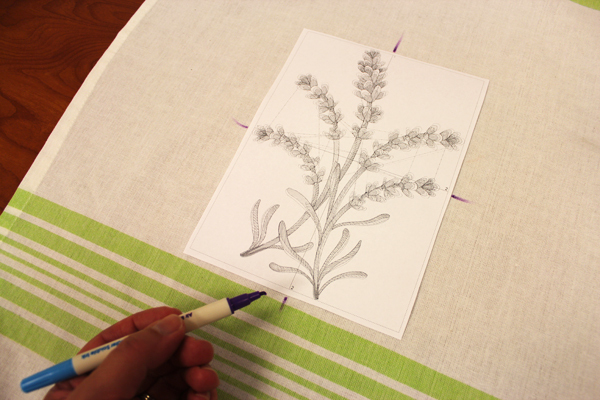 Then arrange on the fabric until it's where you want to stitch the design. Mark the center point and the vertical and horizontal axis lines. When hooping, line the axis lines up with the marks on the hoop. After loading the design to the embroidery machine, move the hoop so the needle is over the center point marked on the fabric.